The Maxi Cosi baby capsule feature award winning safety innovations and is certified with airplane compliance so you can travel safely with your baby, in a car, on a train, as part of a travel system on a stroller, and on a plane. Maxi-Cosi has been developing easy, practical ways of transporting children safely by car. Our aim is to make the lives of busy, modern parents simpler and smoother thanks to innovative design and easy-to-use convertible car seats. 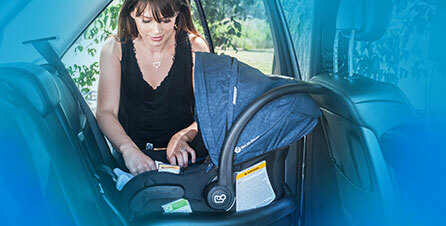 Our Maxi-Cosi Booster and Fully Harnessed Car Seats offer supreme protection for your growing child. For use with either a lap-sash seatbelt, or harness for children. Maxi Cosi’s collection of Baby Strollers, Double Stroller and Baby Prams is about providing comfort, style and safety for your baby and a peace of mind for you. SHOW US YOUR STYLE. MENTION US ON INSTAGRAM #MAXICOSIAU OR #MYMAXICOSI AND YOU COULD BE FEATURED. Maxi-Cosi baby capsules: Did you know? Baby Capsule or Car Seat? Baby Capsule or Car Seat? Which One Should I Choose and Why?